With dozens of wineries within walking distance, Carlton is a dream town for wine lovers. 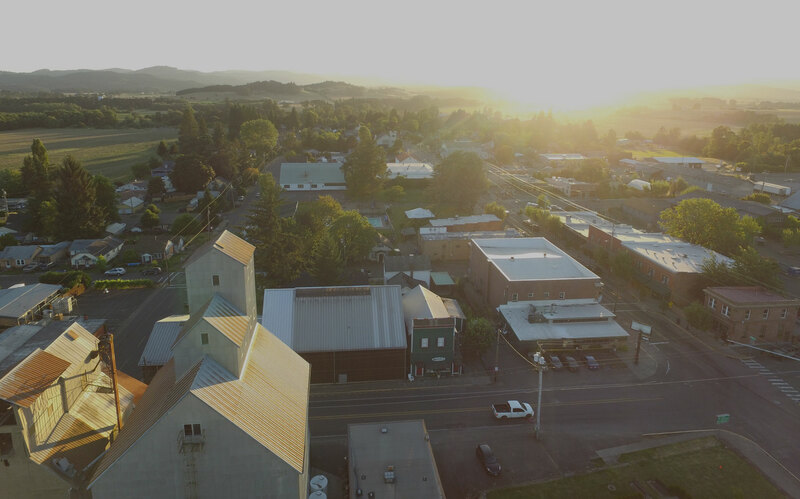 Located an hour southwest of Portland and ten minutes north of McMinnville, Carlton boasts over twenty tasting rooms, all within walking distance... the highest number of tasting rooms per capita in the entire Untied States! Ken Wright planted roots in Carlton in the 1980s, and over time Carlton has become an epicenter in Oregon's wine industry. 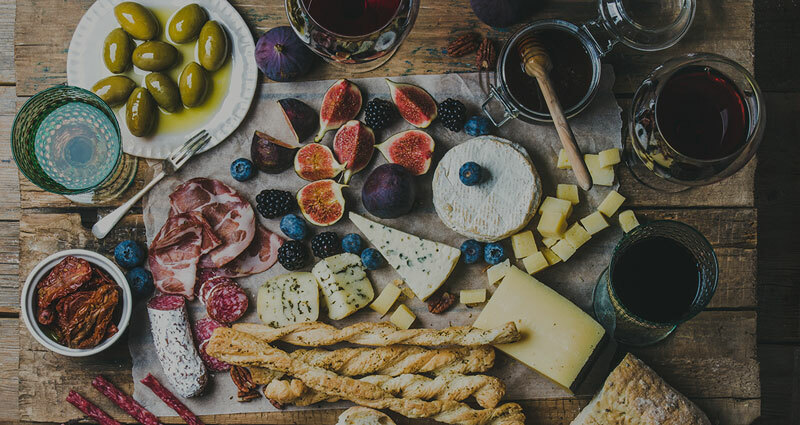 In addition to the wineries, there are a great boutiques, bakeries and restaurants to make visiting enjoyable for everyone. There is no major hotel in Carlton but plenty of vacation rentals and AirBNBs, so we recommend staying in town for a night or two, walking to the tasting rooms and not worrying about the drive home! For this itinerary, we've selected four of the best tasting rooms for you to visit while in Carlton. 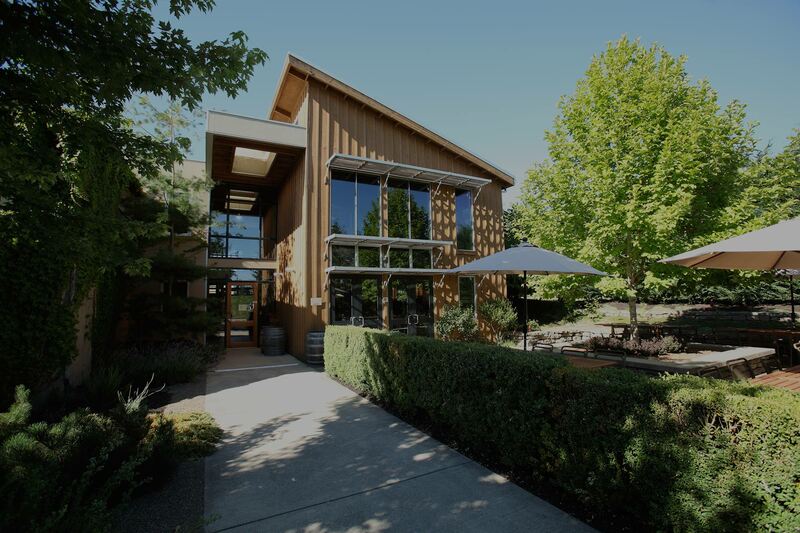 WineryHunt Club Members enjoy waived tastings and 10% discounts during a visit in March 2019. 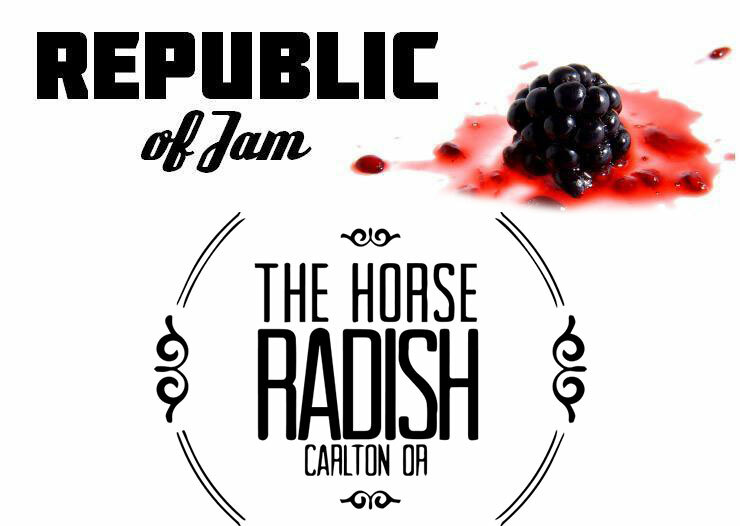 Members also enjoy special discounts at The Horse Radish and Republic of Jam! 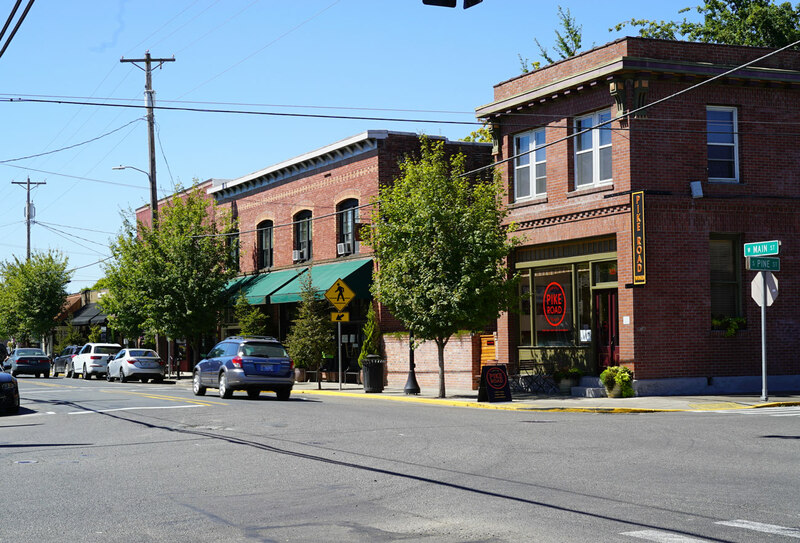 Carlton is one hour southwest of Portland. Access it via 99W and Hwy 240 at Newberg, or via Hwy 26 to Forest Grove and south on Hwy 47. 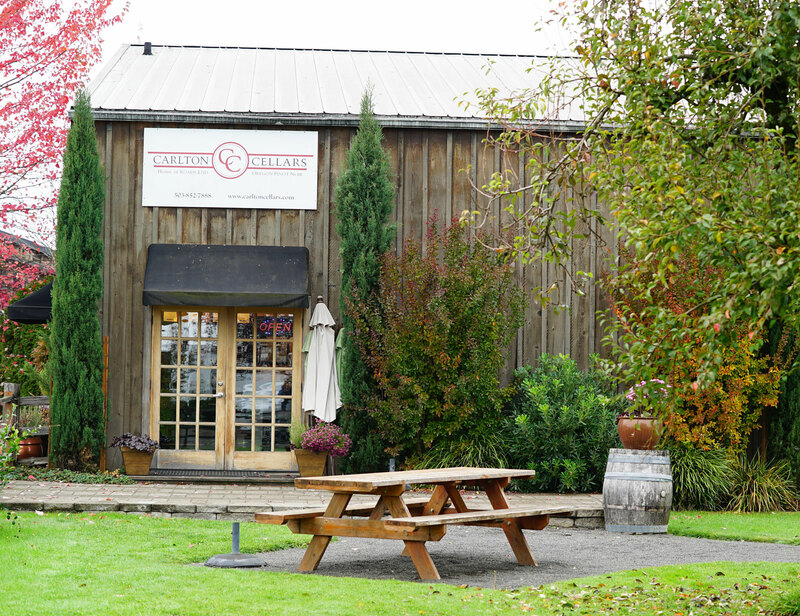 Carlton has the most tasting rooms per capita in the United States! We've picked four of the best for you to visit. Check out the HorseRadish, Barrel 47, Cuvee, Carlton & Coast Tavern or Carlton Corners. 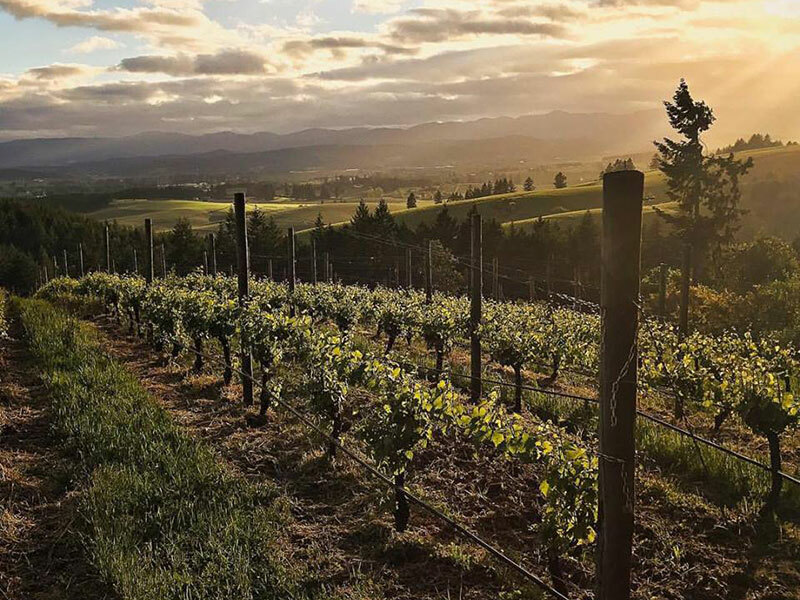 WineryHunt Oregon Club Members enjoy waived wine tastings and 10% discounts at the following Carlton wineries in March 2019! The Carlton Winemakers Studio is a unique cooperative winery in which 15 different vintners share one space to craft premium Oregon wines. Founded in 2002, the Winemakers Studio is located on the north edge of Carlton and provides the ideal incubator for smaller wineries looking to start or grow their wine brand. Some of Oregon's biggest names got their start here, including Soter and Penner-Ash. Well-loved brands and up-and-comers call the studio home today, including Andrew Rich Wines, Lavinea, Hamacher Wines, Ratio, Lazy River and WildAire. The modern tasting room features a revolving selection of wines made at the studio. 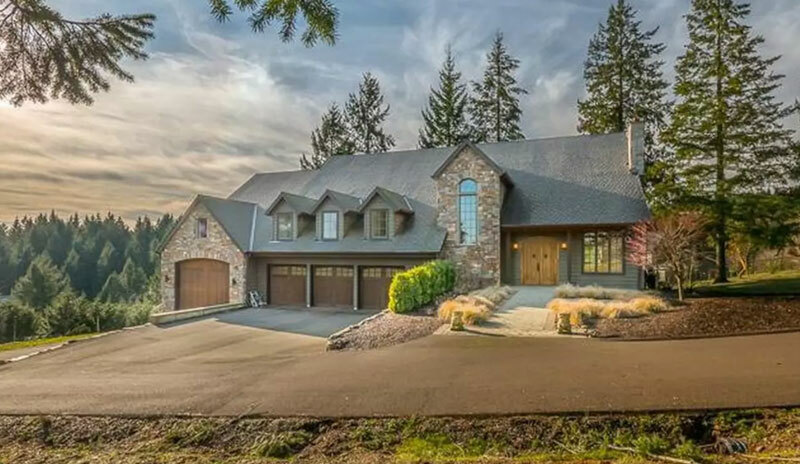 The winery has received impressive accolades over the years, with features in Food & Wine, Wine Spectator, The Oregonian and more. This is a must-visit during your time in Carlton! 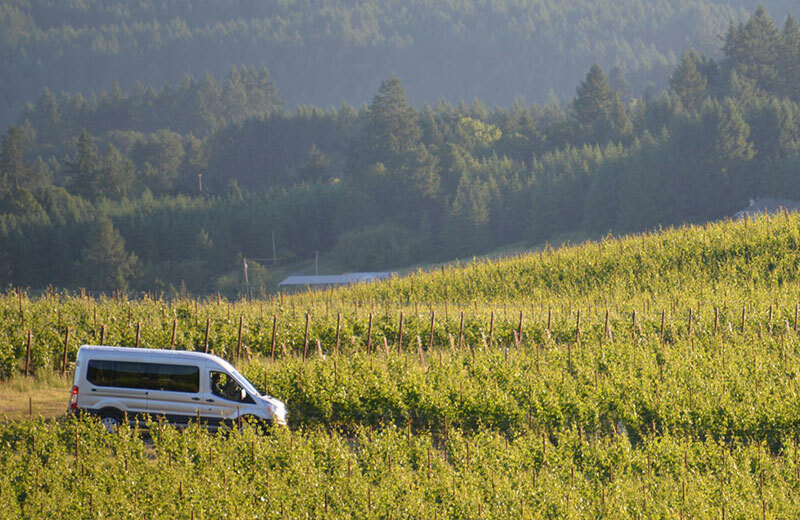 Wines Produced: A full range of Oregon wines from 15 different producers. The tasting flight features an ever-changing selection. 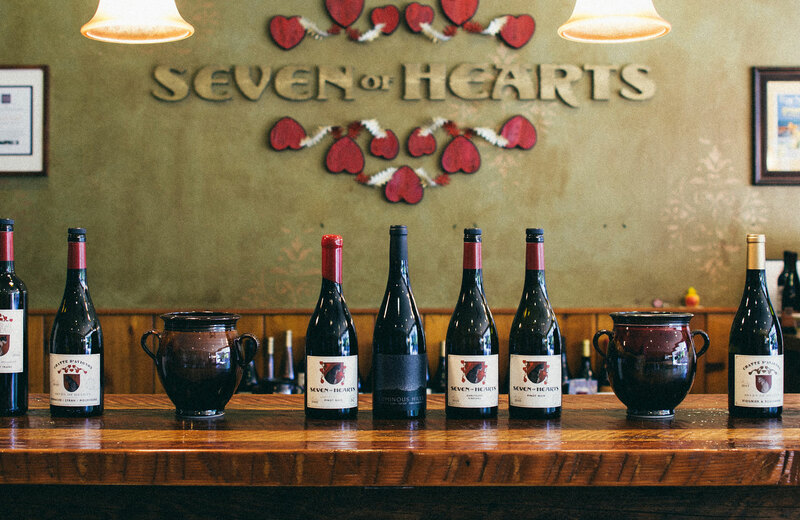 Seven of Hearts explores different vineyards, appellations and varietals within Oregon's Willamette Valley and neighboring regions. 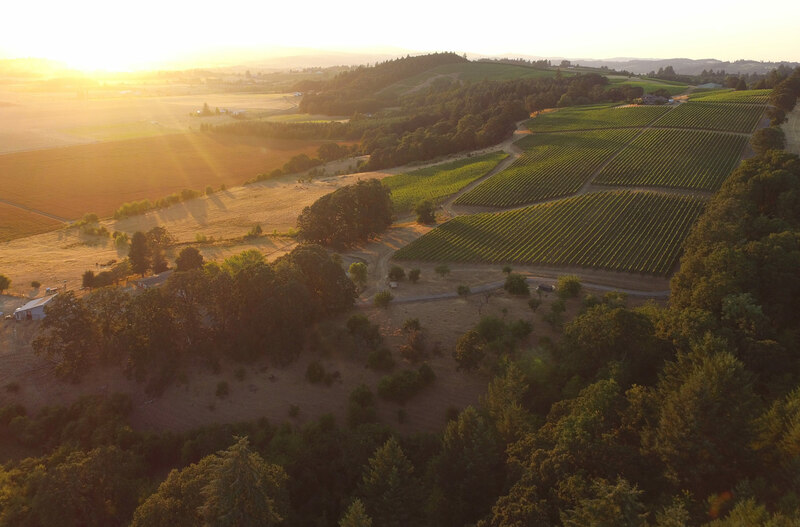 From Riesling to Roussanne, Pinot Noir to Bordeaux Blends, Winemaker Byron Dooley does not shy away from making wine from a wide variety of grapes grown in the Pacific Northwest. No matter what your taste in wine is, you are sure to find a new favorite at Seven of Hearts. You will usually find Byron behind the tasting room counter, eager to teach tasting room visitors everything there is to know about he varietals he works with and the winemaking process. Byron's wife Dana owns Honest Chocolates, a chocolaterie that shares space with the charming downtown Carlton tasting room. A chocolate is always included in the wine tasting flight. 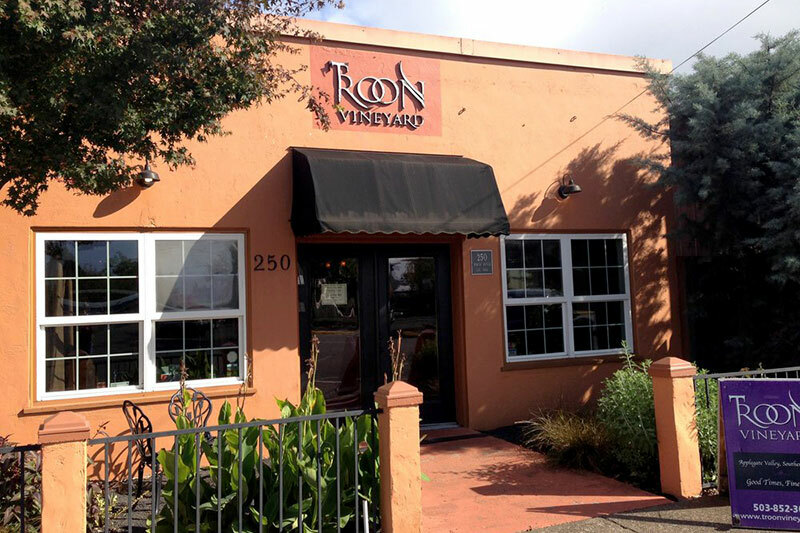 Based in Oregon's Rogue Valley, Troon Vineyard crafts wines that thrive in the hot Southern Oregon climate. The satellite tasting room in Carlton offers a chance to break away from Pinot Noir and try bigger red wines that thrive in warmer conditions, like Cabernet Sauvignon and Syrah. The white wines also are a departure from what is normally offered in the Willamette Vally, with Vermentino and Roussanne being highlights. The tasting room has plenty of room to spread out and enjoy your tasting, or head to the back patio on nice days to sit and relax for awhile. 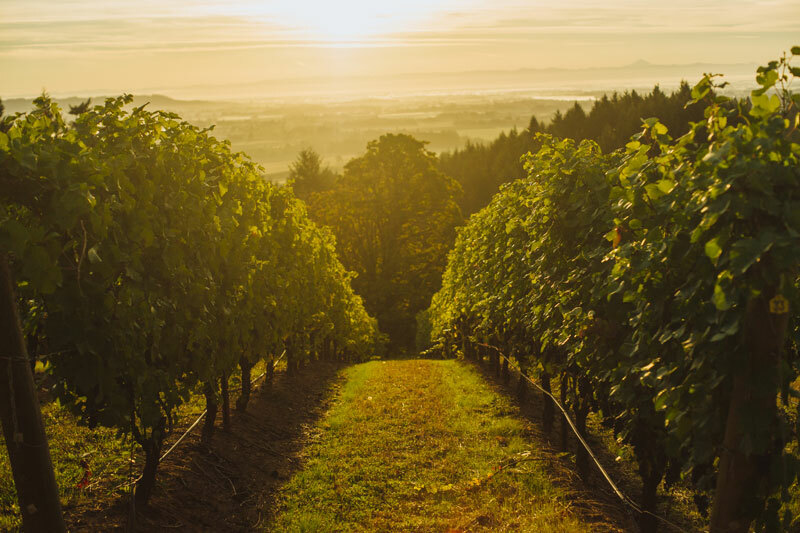 Winemaker Dave Grooters began his foray in the Oregon wine industry as a vineyard manager for Ken Wright, and by 2001 he was producing his own wine under the Carlton Cellars label. His focus then and now is to produce excellent small-batch wine from the best nearby Carlton vineyards. Dave planted his own estate vineyard east of Carlton in 2003, and in 2007 opened their winery facility and tasting room in the heart of Carlton. Dave and his team have built up a respectable following of wine lovers over the years thanks to their great hospitality and delicious Oregon wines. Bonus Benefits for WineryHunt Club Members! WineryHunt Club Members enjoy a 25% discount at Republic of Jam in downtown Carlton during March. Load up on jams, relishes, cocktail mixers, bitters and much more at this iconic Carlton business. The Horse Radish is one of Carlton's best places to eat, with amazing sandwiches to satisfy the wine tasting appetite. WineryHunt club members enjoy 10% discounts on lunch during the month of March. WineryHunt Oregon Club Members enjoy waived wine tastings and discounts in a different Oregon wine region each month. The 2019 club is full, so join the 2020 wait list for a chance at being a member next year!